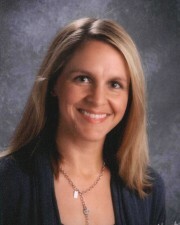 About Me I am in my first year of teaching in the Canton School District. I earned my Masters Degree in Teaching from the University of Sioux Falls in 2009. The University of South Dakota is where I received my BA in English with a minor in German. I am excited to share my experience in theater through directing plays at the high school. This course is offered to give students an opportunity to explore a variety of different types of literature and to explore different writing styles. Literature will include the following: 1) a play - Romeo and Juliet, 2) poetry and an epic poem - The Odyssey, 3) short stories, and 4) a modern novel - Uglies. Grammar, usage, and vocabulary will be utilized to enhance student writing. Students will develop their own sense of style as they learn the basic styles of writing. They will write essays that include expository, narrative, persuasive, and descriptive essays. This course is designed for students who need to fulfill the writing requirement to graduate. Emphasis will be placed on paragraph study with an exploration of different writing styles. They will be expected to write a modified research paper and they will write and design a senior project (A Senior Memory Book). Portfolios will be kept that will include journal entries, note-taking, and brainstorming activities. Ethnic Literature This course is an exploration of literature written about and by different ethnic groups. Different genres will be explored throughout the semester. They will include: myths/legends, poetry, non-fiction, (novels and speeches), and Holocaust novels.